This is the FINAL DESIGN in my RAINBOW themed C2C lap blanket series. This one will have a special bonus at the end, so be sure to keep reading! 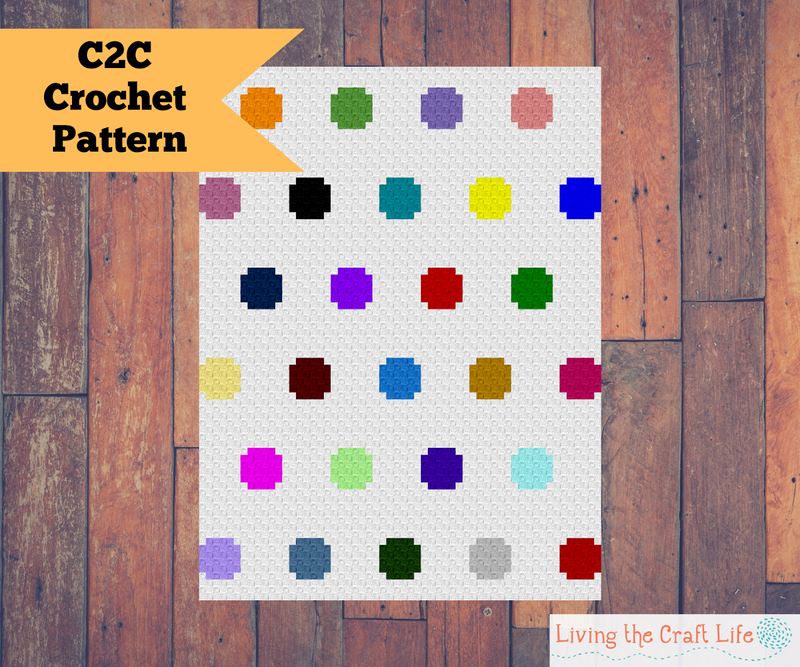 I wanted to design a rainbow C2C blanket that would be a STASH BUSTER. That's right. 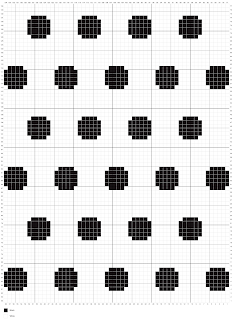 This design uses such small pieces, that you could use a different colored scrap for each dot. 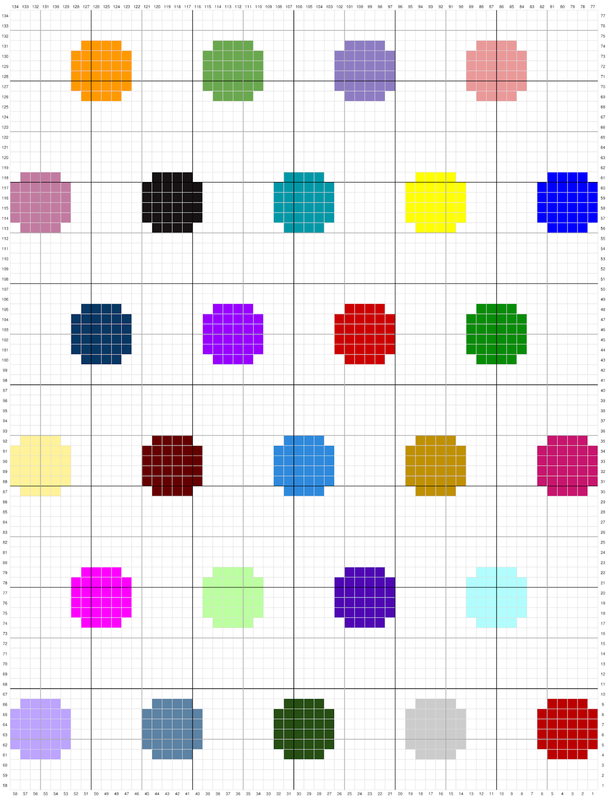 As a bonus, I've included the FREE GRAPH for a single colored Polka dot blanket, if you want to opt out of the rainbow randomness! 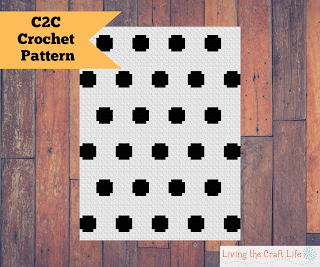 If you decide to purchase the PDF file (link below), the paid pattern will also include as a BONUS the written instructions for the single color polka dot blanket. It's not too different from the rainbow version, but it might be easier on the eyes! Gauge not essential, C2C Crochet a triangle 8 blocks high. 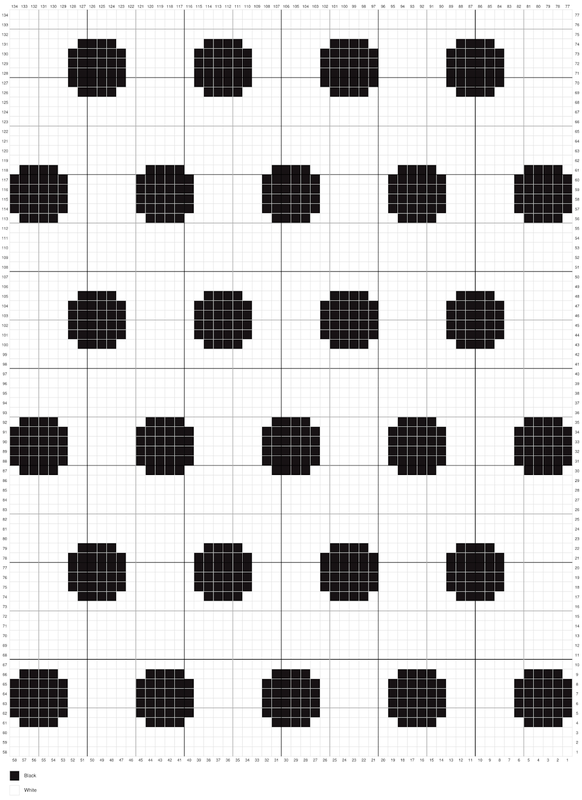 If your triangle measures 5.5” tall, your project will end up being 38”x 51”. 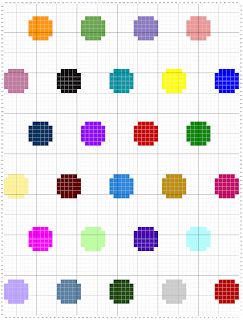 If you are interested in receiving written out row-by-row color counts for this blanket, I have a PDF version for sale that includes right handed and left handed versions.